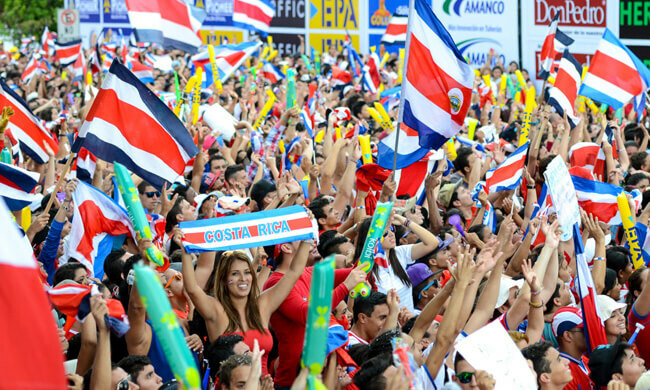 Costa Rica’s 2014 World Cup Dream! The World Cup in Brazil 2014 was indeed memorable for its exciting, goal-rich games and unpredictable results. 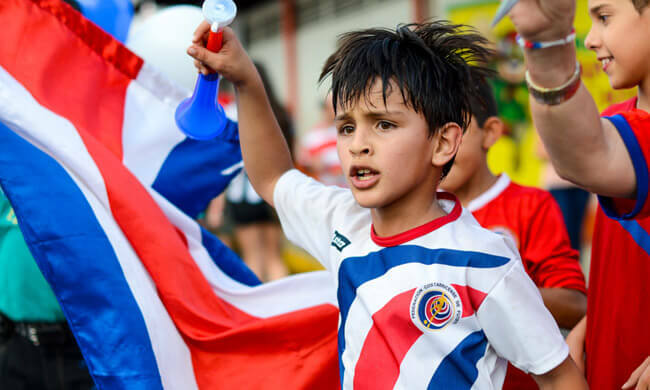 Not least of all for the small country of Costa Rica, already the underdogs of Group D – the ‘Group of Death’ – as all three of Costa Rica’s opponents were previous World Cup winners with the likes of Uruguay, Italy, and England. 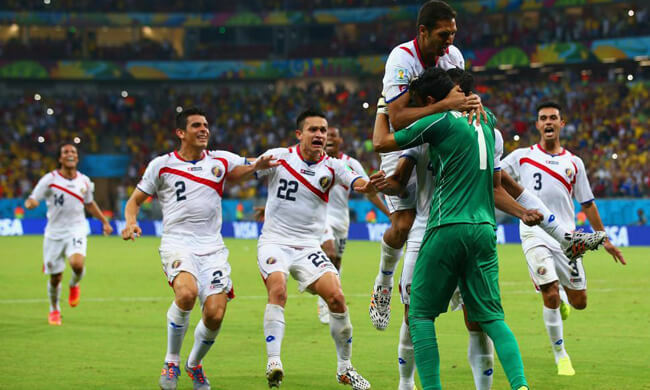 Over the course of the five week tournament Costa Rica made history by reaching the Quarter Finals for the first time and were one of only three teams to remain unbeaten during normal time, throughout the whole tournament. 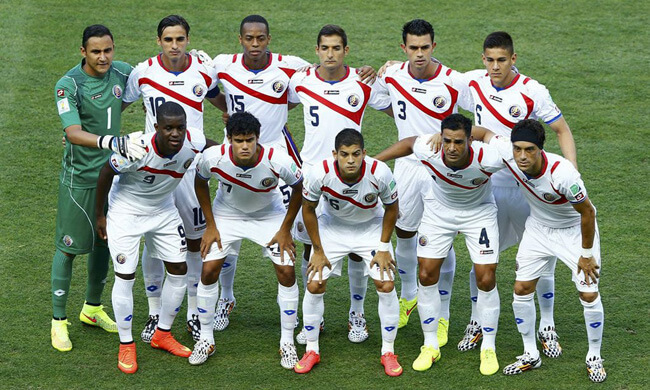 Finishing in 5th spot was a monumental achievement for this small CONCACAF footballing nation. This gallery offers a few highlights of what it meant to the country and its people. 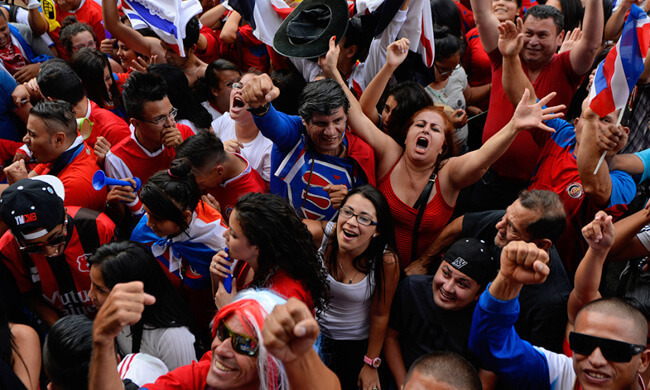 Costa Rica turn up to play their first game against Uruguay. Little did they know what was to come! 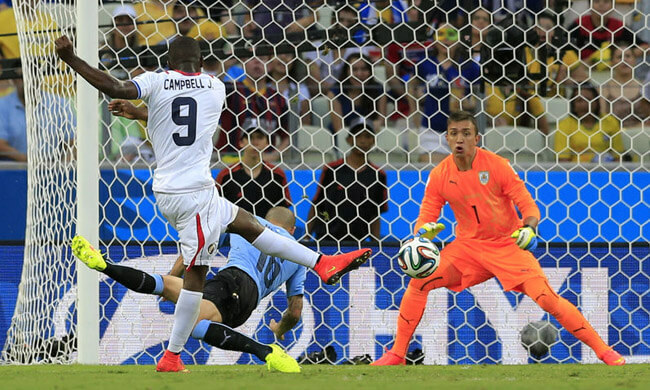 Joel Campbell makes it 1-1 with a fine strike. 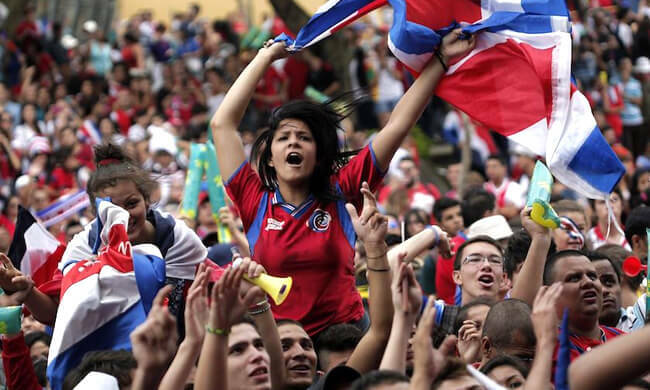 Costa Rica make it an opening 3-1 win against all the odds. San Jose erupts with joyous celebrations! Everyone is smiling and extremely happy with the team’s first performance. 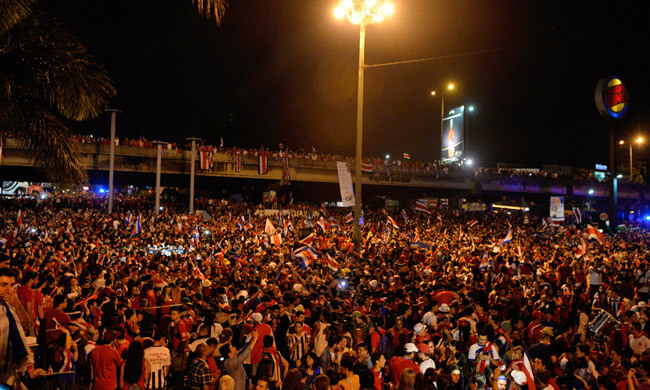 Costa Ricans celebrate at the ‘Fuente de la Hispanidad,’ the famous fountain in San Pedro. Bryan Ruiz scores the only goal beating Italy 1-0 and guarantees a spot in the last 16 for the Ticos! 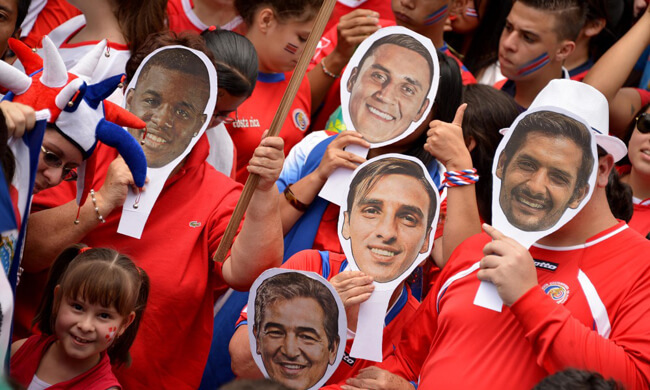 Keylor Navas was a key player, keeping out a number of Italian shots to help Costa Rica progress. 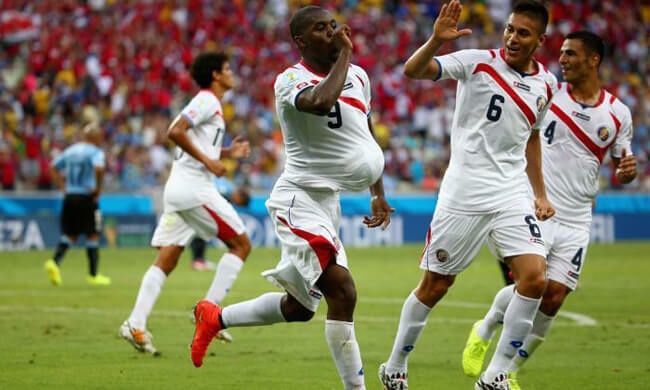 The Tico fiestas continue as Costa Rica reaches the second round for the second time in their history. A goalless draw against England sees Costa Rica qualify in top spot & the memes start appearing everywhere! 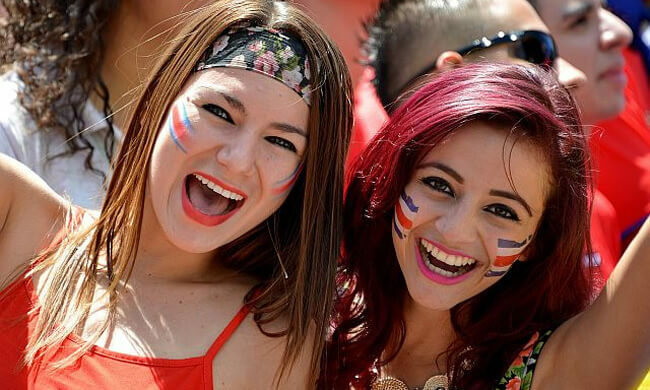 Smiles all around as Costa Rica prepare for Greece in the second round. 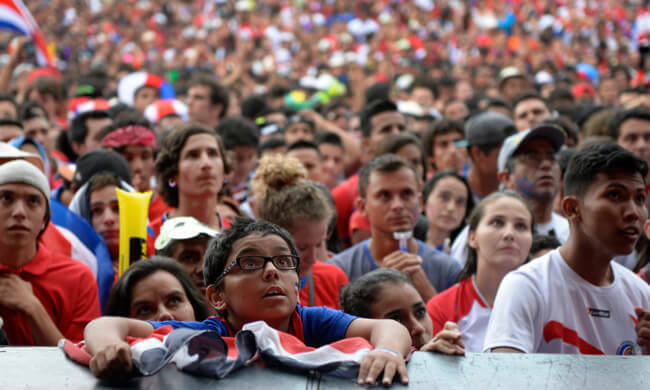 As it goes to a Penalty Shoot-out, there is plenty of tension throughout the country. 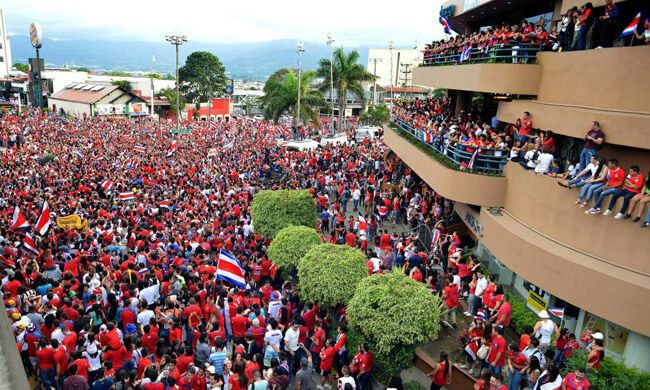 Costa Rica makes history! Scoring all their penalties sees them reach the last 8 for the first time! Keylor Navas goes into the record book as he becomes a hero with his super stop from 12 yards. 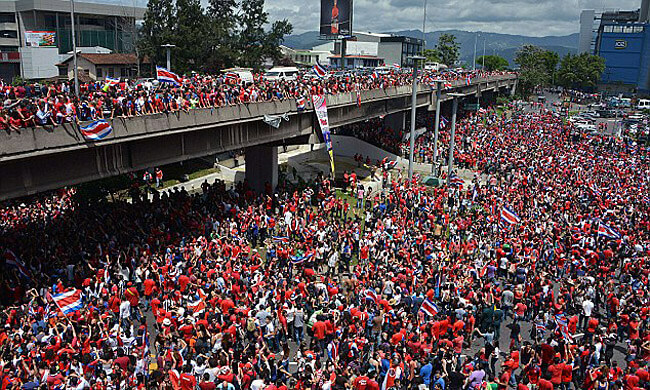 Costa Rica reaches fever-pitch as the country’s euphoric celebrations begin! The players celebrate jubilantly as they realize what they have just achieved. The streets and the ‘Fuente de la Hispanidad’ fill up quickly! 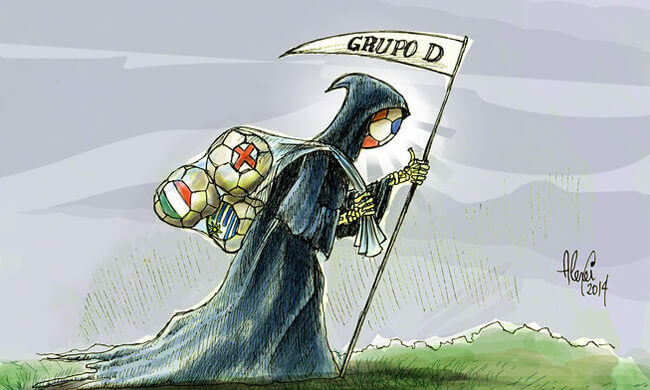 The signs start appearing: ‘Mata Gigantes’: Giant Killers. The party goes on well into the night and lasts till the early hours! 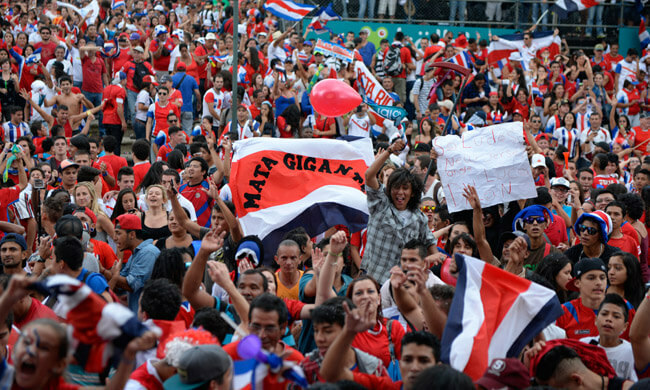 The celebrations continue from Brazil all the way back to Costa Rica. The Tico support grows! There is hope and inspiration for all ages. The famous ‘Sloth Kong’ posters from the local Tico Times newspaper start to dominate the web. 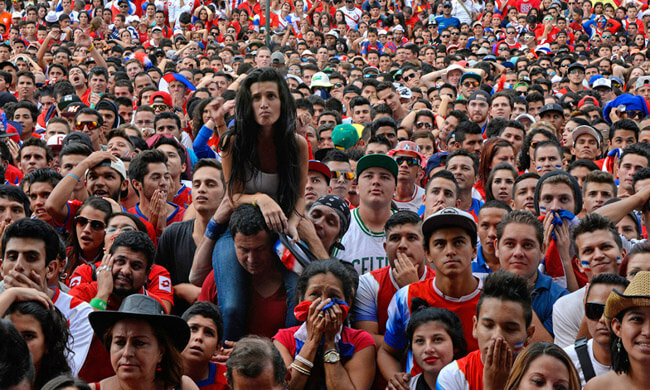 Some girls get ready for Costa Rica’s Quarter Final game against Holland. 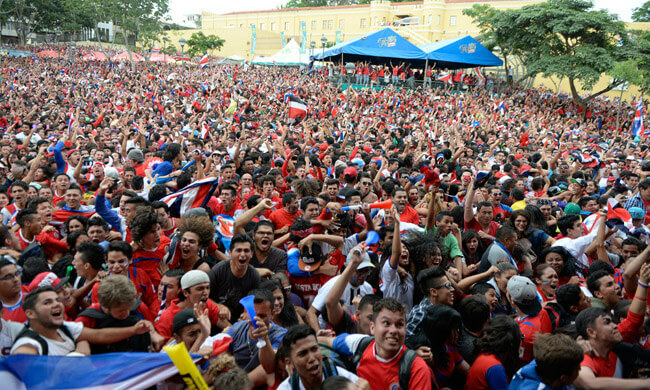 The atmosphere is intense across every bar in Costa Rica. 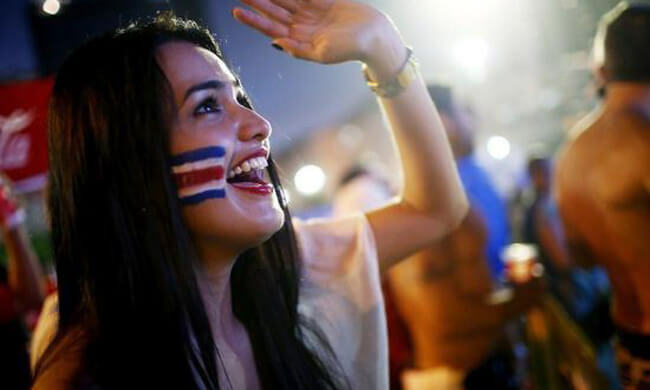 Costa Rica do amazingly well to hold Holland to a 0-0 draw, only to lose on Penalties. 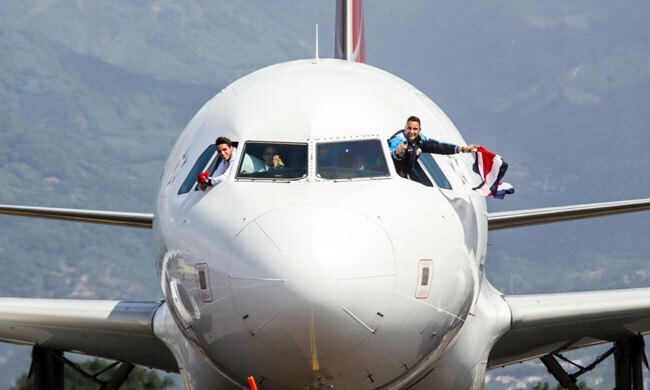 Costa Rica arrive in San Jose’s Juan Santamaria airport ahead of a very excited crowd! In the center of San Jose fans wait patiently for their beloved heroes to arrive. The flood gates open! The team arrives to thousands upon thousands of jubilant fans all going wild! The famous faces of the coaching staff to the players will be remembered for many years to come. 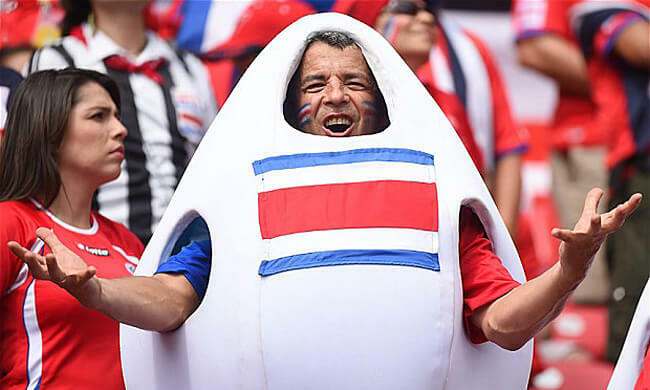 Everyone across the country was “eggs-tatic” with the Ticos historical performance & so they should be!